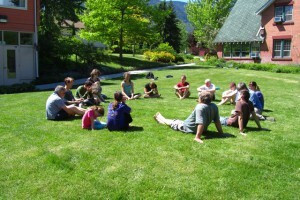 Newcomers to Quaker meetings, experienced Quakers, or those simply curious about Quaker ways can all find be enriched by these courses, with a mix of group, individual, experiential, and written learning. Classes commence once there are enough people registered to start the course. Anticipated start date of October 20, with a technology test-run the week prior. Anticipated start date of October 22, with a technology test-run the week prior. Sign up for a Fall online course! The 2018 Autumn gathering of Western Half-Yearly Meeting (WHYM) will take place on Thanksgiving weekend (October 5-8) at Camp Valaqua near Calgary, Alberta. We invite all Friends and friends of Friends to join us in this warm, intimate gathering. The usual items will all be included in the Half-Yearly Meeting schedule – including worship-sharing groups, special interest groups, Meetings for Worship (including Business Meetings), and the phenomenal Family Night sharing of talents and fun. 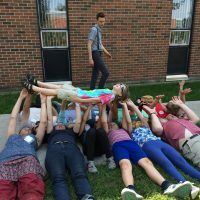 This year’s gathering will include a special presentation by Rachel Yordy and Barbara Heather entitled “Truth and Healing: Honouring Indigenous Rights, Acknowledging Quaker legacies, and Seeking Right Relations.” This is following up from a workshop they attended at Pendle Hill as well as a SIG Rachel led at Spring WHYM (2018). Rachel will also incorporate her Masters’ work, which deals with what she calls a “Two Row Reconciliation Framework” and nonformal reconciliation/decolonization education programming. The site opens at 3 p.m. on Friday, and Friends usually try to arrive on Friday afternoon or evening (and late into the night), with activities all day Saturday and Sunday. Departure is after a short closing Meeting for Worship on Thanksgiving Monday. Accommodations are bunk-room style (with various numbers of occupants per room) in a lodge, or alternatively there are cabins available. Pillows, linens, sleeping bags/blankets, and towels are not provided; bring your own, or ask someone local to bring some for you. Site/accommodation fees are $100/adult for the entire weekend; again, more details are in the infopack. Fees are collected on-site, but please fill out the online registration form in advance as soon as you can, at , or contact Registrar Elizabeth Curry at (whymregistrar@gmail.com). This enables us to plan appropriately for food and other needs. To see the schedule and agenda for WHYM, please visit the Fall WHYM 2018 page on the business side of our site. (Note that you will need to login into the business section, or create an account, to see that page). 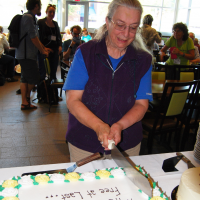 Want to learn more about the Quaker faith? 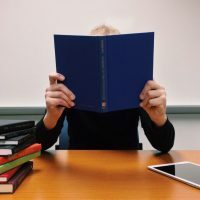 Education and Outreach will be offering two online courses – “Introduction to Friends’ Ways” and “Quaker Faith and Practice” – this fall and in the New Year. 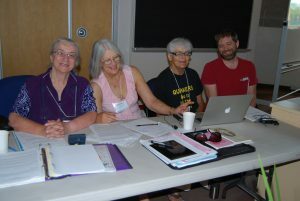 Newcomers to Quaker meetings, experienced Quakers, or those simply curious about Quaker ways can all find be enriched by these courses, which mix group, individual, experiential, and written learning. 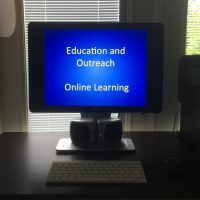 Education and Outreach online courses are free, but require a commitment of time, including a two-hour online session and one to three hours of reading and/or other exercises each week. *Our flexible start dates provide the space for Friends to get organized, as well to ensure our courses are close to full capacity.